I like Sarah Silverman in small doses because the potty humor can get old after awhile. I always thought she stole the show with her bit in the film The Aristocrats. 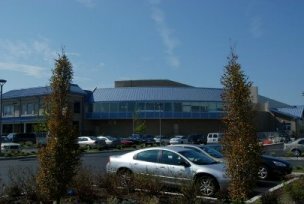 So I picked up her memoirs with the notion that it'd have its fair share of snarky laughs and foul potty humor. In that sense, I was pretty dead on. 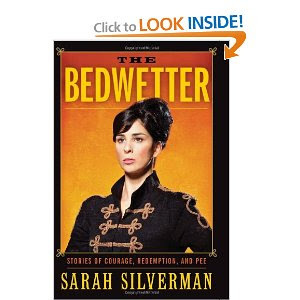 Bedwetter starts out like standard memoirs - Silverman spends a lot of time talking about her childhood and zany family. What I found to be the most enlightening portion of the entire book was her adolescent battles with depression and yes, bedwetting. For once, Silverman uses just enough humor to relay how these traumatic experiences have affected her. My only gripe memoir was that once Silverman reached a certain level of fame, she resorts to a whole lot of name dropping (with one exception involving a sweet anecdote about Chris Farley) and not much else. There are also a lot of pretty gross photos of her and her TV show cohorts.